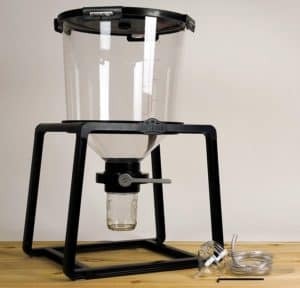 Catalyst Fermentation System Review (2019) Should You Buy It? When shopping for a beer fermentation system, traditional wisdom holds that stainless steel is the way to go. Even the most novice brewers know this, but the cost of a suitably high-quality unit would definitely give anyone reason to reconsider their options. Enter the Catalyst Fermentation System, which offers all the benefits of a stainless steel setup at a lower cost. 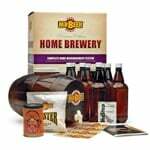 As it turns out, this ingenious product developed by Craft-A-Brew offers a number of other benefits besides. One of the most welcome of these is a significant reduction in the time it takes to get your brew from fermenter to bottle. 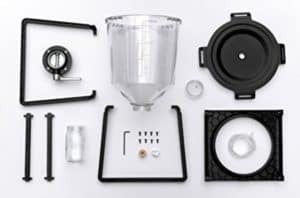 The Catalyst Fermentation System consists of 11 pieces right out of the box. Assembling the various pieces is a pretty simple process, taking only a few minutes at most. The resulting contraption is surprisingly light, although it has a nice, solid feel to it. The unit’s tank is made from a BPA-free polymer known as Titrant. A revolutionary food-safe material, Titrant looks remarkably like glass, with similar clarity and smoothness. Unlike glass however, Titrant will not shatter. The Catalyst is also more durable and harder-wearing than the plastics used in other commercially-available brewing systems. The Catalyst is designed for maximum efficiency and ergonomics. The system utilizes a clever I-beam and honeycomb construction that makes full use of available space. The result is a sturdy and secure contraption that fits neatly under most tables or countertops. 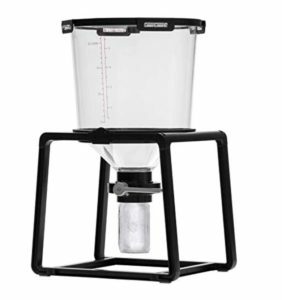 One of the best design features of the Catalyst is the generously-sized trub that enables you to collect more sediment as compared to other fermenters. In this system, the trub can be closed off from the brew, so you can get rid of sediments by simply shutting the valve and throwing out what remains in the jar. The conical fermenter is designed to fit over large-mouthed mason jars, with no other specialized equipment necessary. 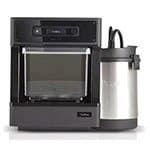 The Catalyst makes it easy to collect yeast for storage, or to separate sediments from the brew. It’s actually quite simple, and even inexperienced users should have no trouble getting the hang of it after a few tries. As impressive as the Catalyst beer fermenter is, we did have a few minor issues with the setup. It’s not the most expensive home fermentation system available on the market, but it’s not exactly cheap either as compared to our other top recommendations. You also have to pay extra for the cover and handles, which we thought should have come together with the unit, those being standard additions to this kind of equipment. A temperature control would have been nice as well, although that would have been too much to expect for a unit in this price range. In any case, you could simply stow it away in a cool spot in your garage during the warmer months. We got better results as well by using yeast that could handle higher temperatures. The Catalyst Fermentation System is obviously built to withstand frequent and heavy use. 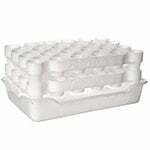 For this reason alone, this would make a great starter unit for novice brewers looking for great value in a fermenter. 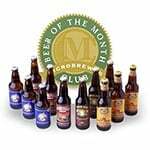 Even the most inexperienced brewers can make pretty good beer without a lot of effort. In fact, the system is pretty much designed to make beer production a no-brainer. 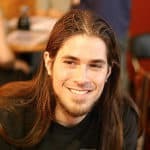 Experienced users will likely appreciate the Catalyst System as well. 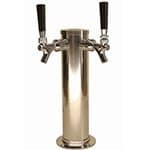 The ease and convenience by which you could get from fermentation to finished product is truly impressive, and you would be hard-pressed to find a similar functionality in even costlier units. 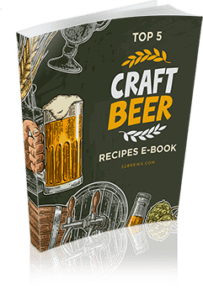 The bottom line is that in this Catalyst Fermentation System review, we found out that this product is an excellent entry point into the fascinating world of brewing and will continue to serve you well even as you gain more experience. Next Post Yeti Rambler Bottle: Can This 64 oz Growler Keep Your Beer Fresh?